Check out my latest review in Sultana’s Dream of Coming of age: Growing up Muslim in Australia. If you haven’t already make sure you have a read, there’s something here to relate to regardless of whether you’re Muslim or not. The anthology features awesome Australian writers including Randa Abdel Fattah, Tasneem Chopra and Amal Awad whose personal stories will make you think and reminisce about your own awkward adolescence. 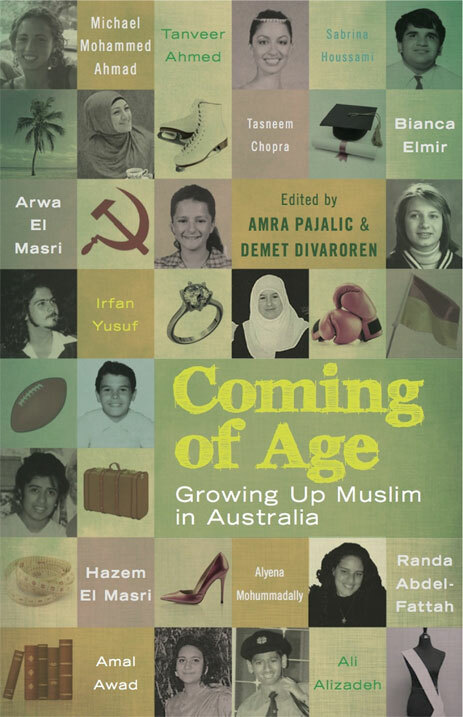 Coming of Age: Growing up Muslim in Australia is published by Allen and Unwin. The same could be said for understanding the reality of multicultural Australia; those stories that are rarely reflected in the whitewashed beaches of soapie suburbia. In this context, Coming of Age: Growing up Muslim in Australia is a welcome balm, like looking into a too-close mirror, familiar but also unnerving. The anthology features 12 Muslim writers sharing stories of migration and dislocation, navigating two worlds and cultures and grappling with familiar adolescent pangs around sexuality, love, body image, faith and identity. The vignettes in Coming of Age chronicle the experiences of this first generation children of migrants, navigating a place within Australian culture as the culture itself navigates how to accommodate a fusion at once deeply familiar and different. Hybrids sporting ocker credentials like Indian-Kenyan activist Tasneem Chopra; growing up in country Victoria amid bush dancing and yabby-catching while going home to practice Indian-dance, later showcased wearing glittering bangles at YMCA halls. The anthology features familiar names including children’s author Randa Abdel-Fattah, footballer Hazem El Masri and his wife Arwa El Masri, lawyer Irfan Yusuf and writer Amal Awad, but also dispersed are valuable contributions reflecting the diversity and complexity of Muslim communities. From self-confessed ‘mish-mash’ Muslim and former Miss World Sabrina Houssami to devout, agnostic and atheist voices from a rich diversity of sectarian and cultural backgrounds, the book is a learning experience even for those from within the tradition. Pakistani woman Alyena Mohummadally shares the trauma of coming out to her Muslim family and reconciling faith with her sexuality. There are moments of unconscious levity in even the most gut-wrenching scenes. Mohummadally’s mother confronts her, not after previous less-than-subtle intimations about her sexuality from her daughter but only when Mohummadally brings home the women’s cricket team for a sleepover: ‘I have always attributed my mother’s question to her being aware of the stereotype that women cricketers and the queer world go together,’ she recounts. Racial-slurs and schoolyard taunts are explored in the same breath as cringing teen crushes and moments of parental embarrassment. Headshots of the writers as gangly adolescents bring back memories of adolescence as life’s universal awkward hour, but exacerbated by the self-consciousness of ethnic difference. Psychiatrist Tanveer Ahmed remembers being inundated with kilos of pungent seafood in the car after his triumphant father spends an afternoon bargaining with vendors at Sydney’s Flemington markets. Yusuf recounts ‘the phone call day’ every desi kid dreads. The day HSC marks are released and the phone rings off the hook as ‘Aunties’ interrogate parents on the life plans and marks of their progeny. Former Bulldogs legend El-Masri and academic Michael Mohammad Ahmad, both of Lebanese background reflect on the burden on Muslim men post-September 11, as the description of ‘Middle eastern appearance’ becomes an epithet of suspicion. There are lessons from their own youth dodging the temptations of drugs and violence as they minister to troubled youth. In an age still full of caricatures and shrieking headlines, this anthology is a long-overdue offering. Stories of young people, now well-known adults who by sharing funny, human stories of their youthful frailties, relationships and loneliness are in turn changing our cultural landscape and what it means to grow up Muslim in today’s Australia.